Twenty-two outstanding students, faculty and staff members, and student organizations were awarded Aaron O. Hoff Awards May 2 in Colton Chapel. The awards celebrate the legacy of Aaron O. Hoff ’36, the College’s first African American student. Each spring, the Division of Campus Life invites the campus community to nominate those who embody Hoff’s strength of character and his endeavors to build community. This year, 74 people nominated 88 honorees. View a photo gallery from the awards ceremony and reception. 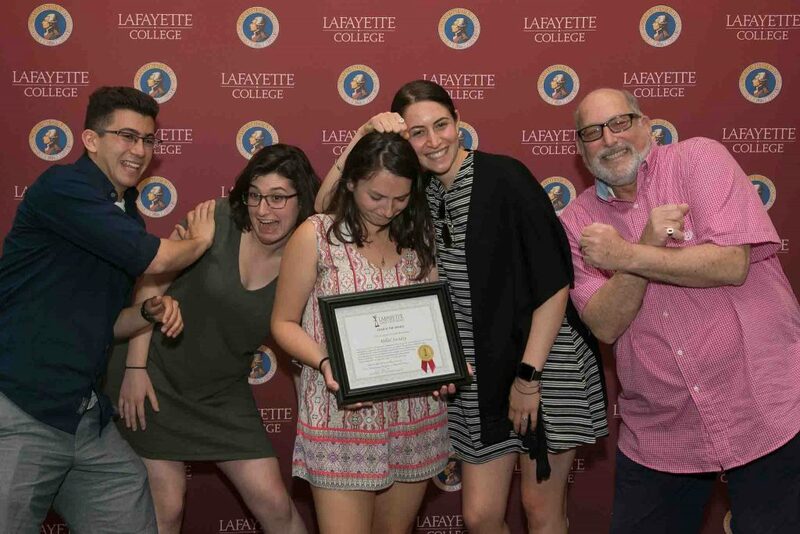 Amanda Baildon ’19 and Alexandra Bell ’18 received the Unsung Hero Award, which recognizes a student who works without regard for personal reward, who has demonstrated concern for and dedication to the betterment of their peers within the Lafayette community. 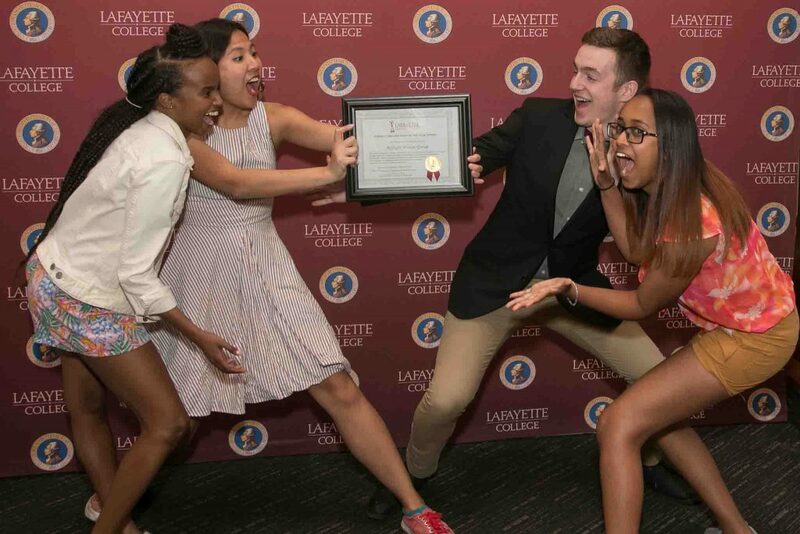 Austin Botelho ’18 received the World Citizen Award, which recognizes a student who has demonstrated commitment to international or global issues through academic work or co-curricular leadership at Lafayette College. Connor Burwell ’19 and Gabrielle Tropp ’20 received the Emerging Leader Award, which recognizes students who demonstrate considerable leadership potential and have made an impressive transition from exploring to taking the lead toward meaningful change. Peri Chain ’18 received the Residential Spirit Award, which recognizes a student who has gone above and beyond to contribute to their living environment, making the hall a fun and welcoming place to live. Sydney Edelson ’19 received the Service Above Self Award, which recognizes a student who best exemplifies the qualities of caring and concern for others through participation in service activities. This active citizen is committed to discovering the root cause of social issues and supports solution-based initiatives with significant amounts of personal time. 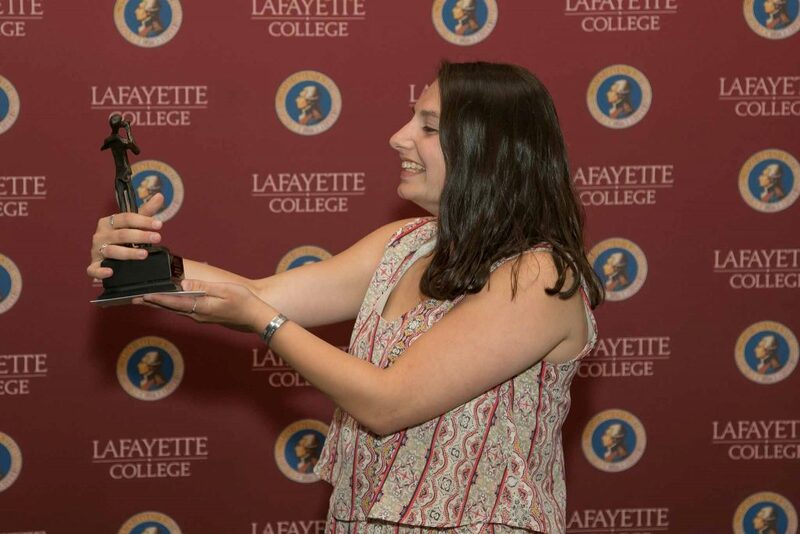 Sara Hayet ’18 received the 1974 Award, which recognizes a student who most exemplifies the groundbreaking spirit of the first class of women to graduate from Lafayette College by working toward equality for women on campus. 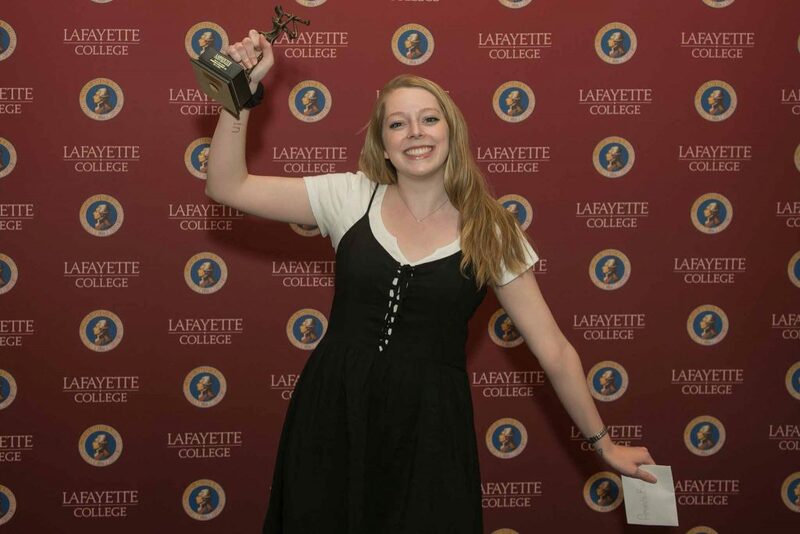 Emma Sherry ’18 received the Marquis Award (individual), which recognizes exemplary leadership by a student. The recipient has influenced the behaviors, actions, or opinions of others toward a common goal or purpose. The recipient models collaboration, handles controversy with civility, and places value on a common purpose. 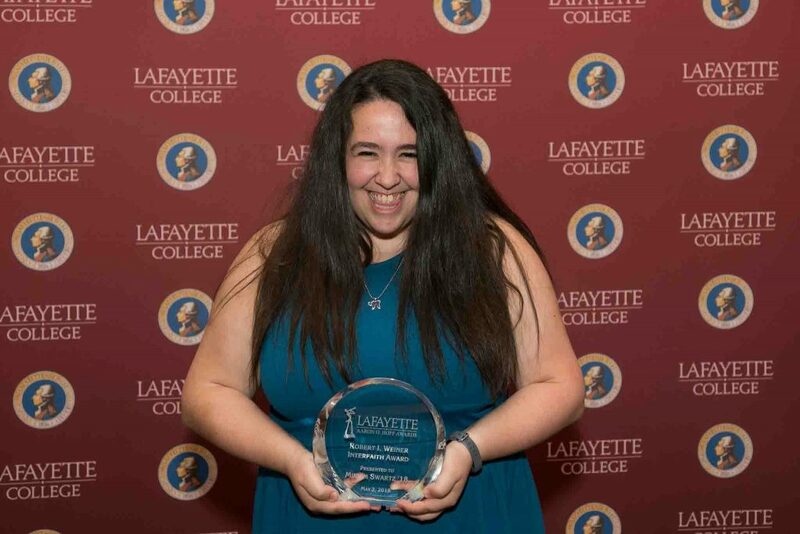 Esmeralda Sotelo ’18 received the Frances Ocansey-Ahene Spirit of Multiculturalism Award, which recognizes a graduating senior whose commitment to academic excellence and inclusive leadership within the community transcends all barriers and exemplifies the ethos of multiculturalism at Lafayette College. Miriam Swartz ’18 received the Robert I. Weiner Interfaith Award, which recognizes the student who contributed most significantly to interfaith work by promoting constructive dialogue between religious and intercultural groups on campus. 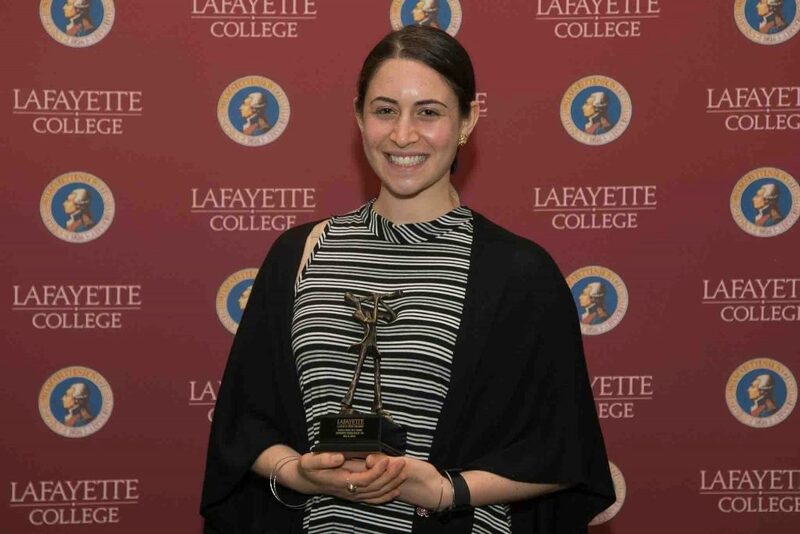 Rachel Tenney ’18 received the Mattachine Award, which recognizes the student who most exemplifies the courage of the Mattachine Society, the nation’s first LGBTQ rights organization, in working tirelessly to advance LGBTQ rights at Lafayette College. Delta Gamma received the Commitment to Service Award, which recognizes a student organization that has displayed significant effort for the improvement of the Lafayette campus through service and/or philanthropy. Hillel Society received the Character Award, which is given to the group or organization that consistently demonstrates how its decisions and behaviors align with its stated purpose and values. The group receiving this award considers how the actions of individuals impact the group or organization as a whole through reasoned and ethical decision-making, personal well-being, and accountability. The group or organization also demonstrates programmatically it is congruent with its mission and values. Pards Against Sexual Assault received the Marquis Award (group), which recognizes exemplary leadership by a student organization or group of students. The recipient has influenced the behaviors, actions, or opinions of others toward a common goal or purpose. The recipient models collaboration, handles controversy with civility, and places value on a common purpose. Refugee Action Group received the Student Organization of the Year Award, which recognizes a student organization that has demonstrated a progression of growth throughout the year as indicated by its programming, membership, and/or organization management. TNT Trivia received the Program of the Year Award, which recognizes a student organization or group of students who planned and implemented a program that positively impacted the campus culture. Large or small scale this program was creative, original, and evaluated based on how well it fulfilled its purpose. Assistant Professor of Civil and Environmental Engineering David Mante received the Superior Teaching Award—Sciences and Engineering, which recognizes a professor in the sciences or engineering division who has served as an exemplary scholar by teaching above and beyond the required level and has had a significant positive impact on the careers of students inside and outside of the classroom. Assistant Professor of Religious Studies Robert Blunt received the Superior Teaching Award—Humanities and Social Sciences, which recognizes a professor in the humanities or social sciences division who has served as an exemplary scholar by teaching above and beyond the required level and has had a significant positive impact on the careers of students inside and outside of the classroom. 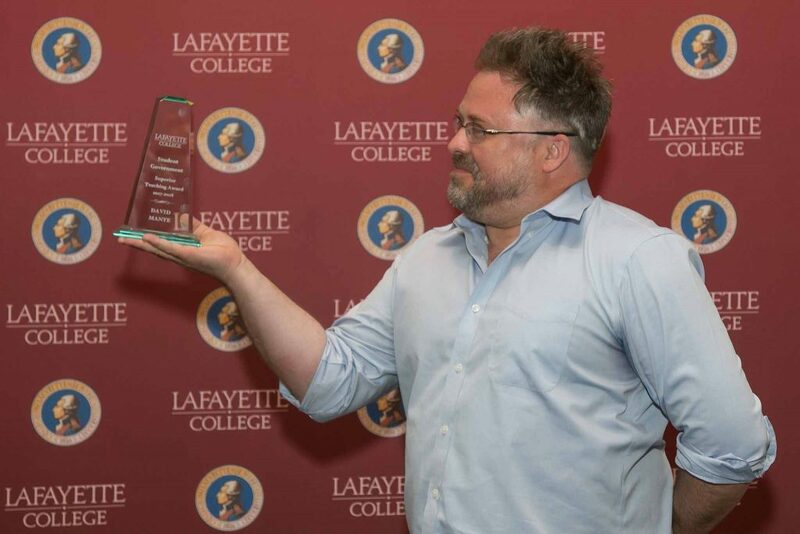 Director of Religious & Spiritual Life and College Chaplain Alex Hendrickson received the Administrator of the Year Award, which recognizes a Lafayette administrator who has demonstrated dedication, availability, and energy in their involvement with students. 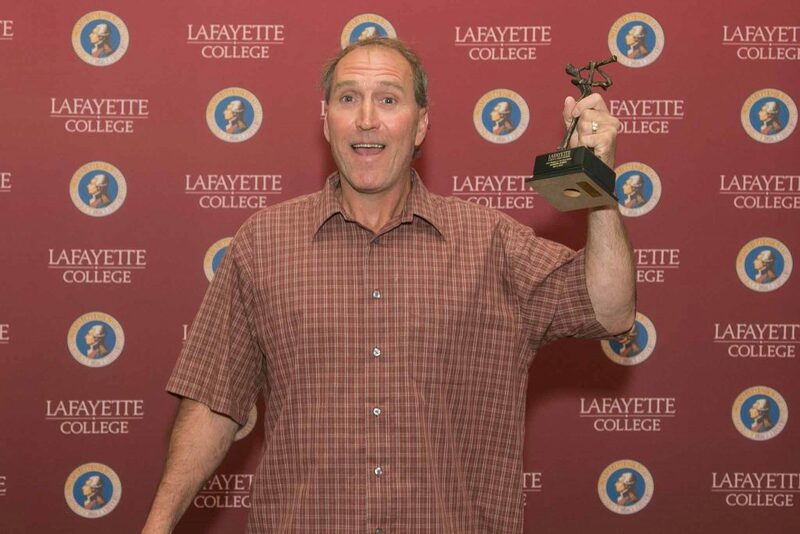 Custodian Joseph Jones received the Staff Member of the Year Award, which recognizes a staff member who has served the Lafayette community, has gone above and beyond his/her responsibilities, has been courteous and engaging with students, and has improved the quality of campus life. Assistant Professor of Mechanical Engineering Rachel Koh received the John T. McCartney Excellence in Diversity Education Award, which recognizes a faculty member who demonstrates intellectual passion, mentorship of students, and a strong commitment to diversity. The successful recipient inspires high academic achievement in her or his students and promotes cultural awareness for the campus community.